Armored Core getting a PSOne Classic release this week! Hold the phone! My dream is coming true! Sony is on a roll with bringing From Software's PSOne Classics to the PlayStation Store, and we've just scored the best of the bunch! PlayStation Blog has confirmed that the original Armored Core will be getting a long overdue digital release this week when the store updates. 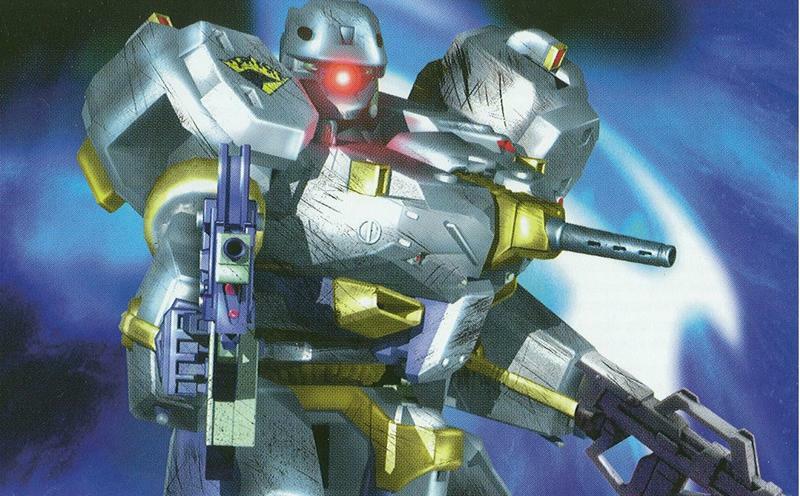 The Armored Core franchise is the ultimate simulator for enthusiasts of Japanese robots. While the later games might have veered into territory that only the most dedicated can enjoy, the original wave of PlayStation and PlayStation 2 games still holds up. This first game especially allows for deep customization of your dream ride without sacrificing story, level design or fast action. This one also has plenty of wonderful glitches, exploits and secrets to uncover, making it one of the easier to revisit. The early 3D graphics might be sore on the eyes who weren't alive during the PlayStation days, but it's a cannonball into a pool of nostalgia for kids of the 90s. No word on the price yet, but I'll guess it is somewhere in the ballpark of $5.99. Sony obviously wants to put out as many of From Software's older games as it can while Bloodborne is on everyone's mind. Nice to see that someone is still taking the PS One Classics line seriously.